Hospitality is certainly part of Muslim culture… It is a reminder of the importance of hospitality in understanding people and allowing them to know you. In our American culture we don’t place as high of a premium on it, and we kind of expect that we can just tell people what we think, and they’ll just accept it because we told them. We don’t have that element of hospitality anymore that allows us to really get to know people on a heart level. Amy had warned us about Bosnian hospitality before we traveled — but mostly it was in terms of coffee drinking. I thought, That’s not such a problem. I like coffee. And it was true — we were offered lots of coffee. Served in tiny cups and often with sugar cubes. Made the Turkish way. It turns out I prefer my large American mug of coffee with half-and-half in it. 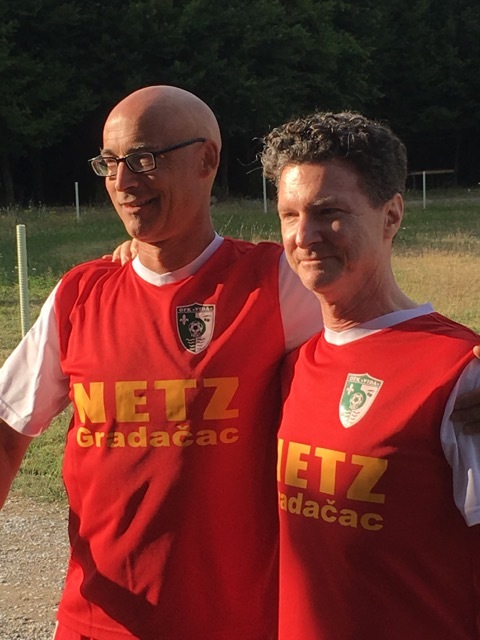 But Bosnian hospitality – oh my goodness! The coffee was such a tiny part of their hospitality. On two nights we were welcomed into homes for veritable feasts. The first of those meals I would place in the top ten meals of my life. The food was absolutely amazing, especially the baklava. 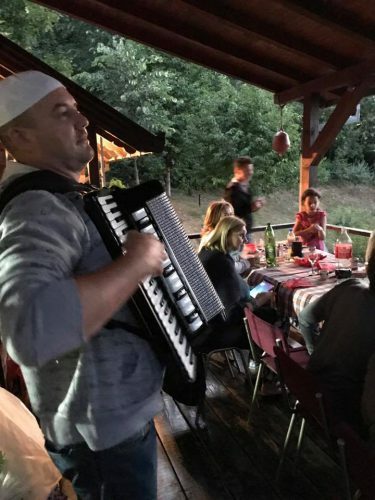 Bosnian hospitality also includes music. 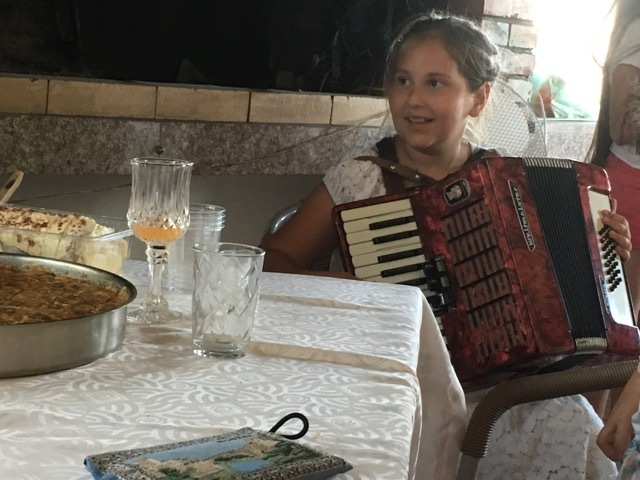 At that first feast, Ajla started the musical segment off playing the “harmonika” (aka accordion), but then there was singing and dancing that went on late into the night. Such a celebration! 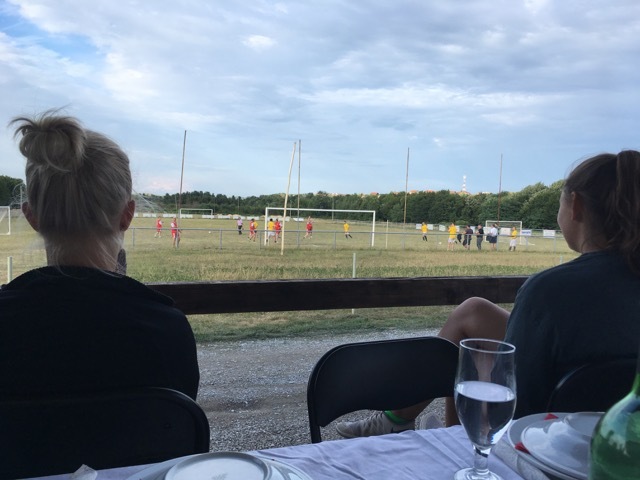 Two nights later we dined at a fudbal (soccer) club and watched a game that included the two men from our group. After the game and dinner, someone got out an accordion again and the men sang. The best men’s choirs in the world had nothing on this group. It was wonderful. The second dinner in a home was on our last night in Gradačac. We drove and drove on winding country roads until we came to the house. We dined on a large porch that overlooked a valley. Once again, an accordion came out after dinner. The food was great, the singing fun, and the view spectacular. If I could do one thing in the Bosnian way, it wouldn’t be making coffee or bread or pie or even baklava — although all those things were amazing — if I could do one thing the Bosnian way, it would be to practice hospitality. The panorama of the valley is my day two entry for the photography challenge I’m doing. It involves posting nature photos (taken by me) for seven days. Maneé Trautz — I’m tagging you for three reasons. One — because when I was looking for hospitality quotes I found one that said “Be a flamingo in a flock of pigeons.” I’m not entirely sure why that’s a hospitality quote, but it made me think of you and your flamingo series back in February (which I loved). When I met with Azra last week she was telling us about how in Bosnia people go out of their way for you without expecting anything in return. I certainly found that true. Accordions have really crossed a lot of cultural boundaries, it seems.